UPDATE: Oppo has responded to those users wanting slightly more treble from their PM-1 headphones with the announcement of new earpads, designed to give a slight lift in the treble response while maintaining the existing midband and bass characteristics. The newly-designed earpads will be supplied as standard with the headphones from September, meaning every pair will come with two sets of lambskin-covered pads as well as the alternative velour pads, and existing owners of the PM-1 headphones will be supplied with a set of the new lifted-treble lambskin pads free of charge, this offer being available until the end of July next year. It’s expected that the new earpads will be available later this month, and owners should contact the retailer from whom they bought their headphones to claim their new pads. I’ve ordered a pair, and will report back when I receive them. 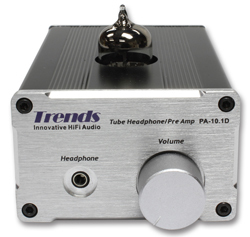 Oh and by the way, here’s my review of the matching Oppo HA-1 headphone amplifier. Here’s how it usually goes: you attend the launch of a new product, and then enter a period of extended negotiation with the PR people and product managers. Expressions of interest are given and (hopefully) noted, and then the emails trudge back and forth until they’re either rewarded with a loan sample or the trail goes cold and you go on to the next product of interest. As matter of record, the current title-holder for the longest gap between launch and an offer of a review sample is something approaching two years, by which time the product in question was about to be discontinued. Oppo, however, did things differently with its UK launch of the PM-1 Planar Magnetic headphones in London the other week. Not only were those attending given one of Oppo’s very useful ‘shopping bags’ containing a press pack; we were also handed another bag containing a pair of the headphones. A very big bag, of the kind you usually get when buying one of the company Blu-ray players, and a very heavy one, given that the PM-1s come in a box inside which is a box inside which is the beautifully lacquered presentation box (left) in which the headphones are – umm, presented. Together with the headphones was the suggestion that as the products were brand new, a good period of running-in would be sensible: 100 hours was the time suggested. So here we are, almost two weeks after the launch, and the PM-1s were ‘cooked’ for a good week after I got them home – not that I’ve managed to resist the temptation to sneak an occasional listen to see how thing were going. But rather than rush into print to be the first with a review of some barely run-in headphones, I decided to take my time, observe the guidelines set by Oppo and give a more considered view. Before we get to how they sound, some background on the headphones. 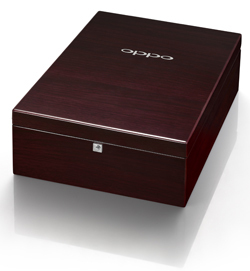 At the launch event, Oppo showed the PM-1s, which sell for £1099, but also announced the imminent arrival of a less expensive pair, the PM-2, at around £700, and a headphone amplifier, the HA-1 – price to be set but expected to be around £1000 or so, and due in a month or two. The main differences between the two models will be in cosmetics and construction – there won’t be a wooden box with the PM-2s, the leather and aluminium of the premier model will be replaced with synthetic material and plastics, and the Ohno Continuous Casting (OCC) ultra-high-purity cable will be replaced with a more normal oxygen-free-copper (OFC) lead – but the planar magnetic technology of the drive-units will be the same. 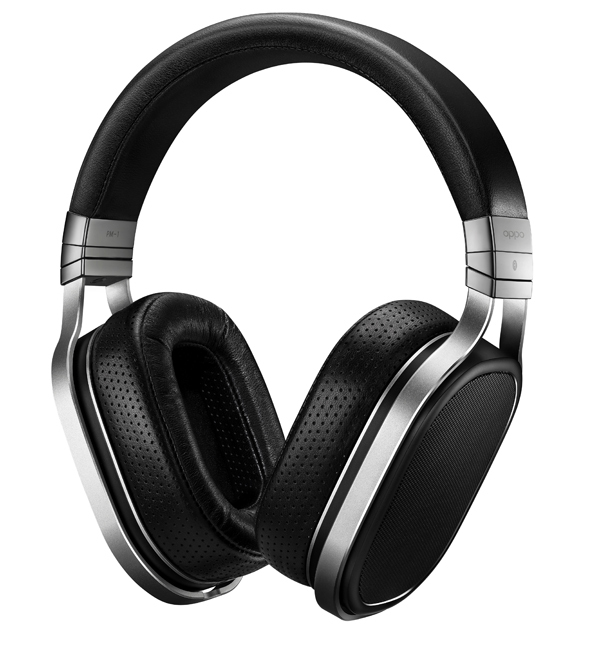 This technology is after all the heart of these new headphones, and while the Oppos are not by any means the first headphones to use this kind of driver, which essentially has a membrane onto which the voice coil is printed or into which it is embedded – as against a driver like a speaker cone with a voice coil driving it from the centre – Oppo is confident its design can rival the best out there. In fact planar magnetic designs go back to the mid-1970s, when Yamaha launched such headphones, and of course the technology is the origin of the name of flat-panel speaker company Magneplanar. More recently we’ve seen Audeze making a splash with the launch of its planar magnetic LCD- range of headphones. Among the benefits claimed for this kind of driver is a more accurate pistonic action, without the breakup modes to which cones are prone, faster response thanks to the lightweight diaphragm and the way it’s driven, better dissipation of heat (so none of the compression possible due to heat build-up in voice coils, cooler ears and better reliability/durability) and a flat impedance across the frequency range, making the headphones more amplifier-friendly. Well, all of that’s the theory, but Oppo’s Igor Levitsky says the research leading to these headphones has tackled planar magnetic driver issues such as ‘low sensitivity, weight, insufficient diaphragm stability, consistency and reliability’. Here’s how the company describes what’s unique about its drivers: ‘The Oppo planar magnetic headphone uses an FEM optimized magnet system with very high-energy Neodymium magnets. A large oval planar diaphragm is positioned in an evenly distributed symmetric magnetic field. ‘The diaphragm has a spiraling pattern of flat conductors etched on both sides of a very thin polymer film. The magnetic system and conductor patterns are optimized for maximum driving force (sensitivity) and consistency of the applied force over the radiating area. The idea behind the conductors on both sides of the dispahragm is to allow twice as many to be placed within the magnetic field for better sensitivity (102dB), improved damping and more even drive. The drivers in the PM-1s are pair-matched for the best possible stereo imaging, and the entire enterprise has just the feeling of quality and luxury you’d hope for in a £1000+ pair of headphones. The main ‘chassis’ is of aluminium, with the earcups both adjustable for reach and able to be rotated freely. The padding of the headband is lambskin, while the earpads themselves use the same material, perforated for comfort, over natural latex, chosen to deliver a good seal around the ear while keeping cool. 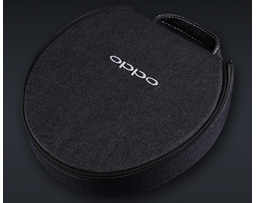 A pair of velour-covered earpads are provided as an alternative, although Oppo admits these don’t give quite as good a seal, and the earpieces are open-backed, with perforated metal grilles to the rear. The velour pads will be an extra-cost option with the less expensive PM-2 headphones. Also provided in that lacquered box is that generous – 3m – main cable, terminated with a 6.35mm stereo plug at the amplifier end and 3.5mm mono plugs for left and right earpieces. Below the lacquered box in the shipping carton is a hard-sided denim travel case (left), inside which you’ll find the velour earpads and a shorter cable terminated with a 3.5mm stereo plug for use with portable devices. As an option, Oppo wil be selling a headphone stand, and a balanced headphone cable for use with its HA-1 headphone amplifier: this is terminated in a four-pin XLR plug, although the amp also has a conventional 6.35mm socket. More on the headphone amp when I’ve had some time to get hold of one and have a play, but for now some brief details. Its Class A audio stage is a development of the output section used in of the company’s BDP-95 and BDP-105 Blu-ray players, and the digital to analogue conversion is handled by the familiar ESS 9018 Sabre DAC, also used in those players. Digital inputs include coaxial, AES/EBU, optical and asynchronous USB, plus an iOS certified USB on the front panel, and the amp also had built-in Bluetooth apt-X capability. 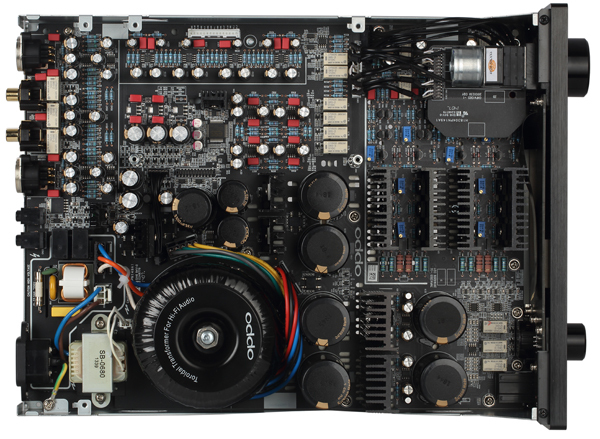 Both high-res PCM and DSD formats are supported, and the amp can also function as a preamp into a power amplifier. The volume control is all-analogue, using a motorised potentiometer so it can be operated by the remote control supplied; the digital display of levels is derived from 10-bit sampling of the analogue output, and the display can also show a variety of information including gain, a spectrum analyser and track/artist information when used with suitable devices. The PM-1 headphones aren’t small, and neither are they that light, at 395g: however, they are extremely comfortable, even over protracted listening. The design gives a good seal, even when you wear the headphones with glasses, as I’m afraid I now have to when using the computer or reading – it’s an age thing! – and yet there’s never the sense of your head being clamped in a vice, as can be the case with some other designs I’ve tried. The fit is firm, but not unduly so. Having sounded decidedly rough and less than special when I first had a listen to ensure all was connected up correctly (as soon as I got the PM-1 package home), listening again some days on was an eye-opener. These are by some way the most open and airy headphones I have encountered, and with a good recording deliver a completely ‘out of the head’ experience that’s almost uncanny. Flicking back and forth between the headphones and my current desktop speakers showed that the Oppos manage to create not only a stereo image out in front of the listener, with not a hint of the sound being fed to each ear, but also an excellent sense of three-dimensionality, with convincing width and depth to the sonic picture. Playing solo piano recordings I found I was revelling in the impression of a real instrument out there before me, the odd hints at the mechanics of its playing adding to the sense of reality and the ambience of the studio clearly portrayed. Now I’m not in any way going to claim to be a headphone expert, so I’m not in a position to draw detailed comparisons with specific models acclaimed by some to be the best in the world (and equally done down by others who favour different models! ); in fact, I’d go so far as to say that in general headphones and I don’t get on too well, and more often than not I’d rather not listen at all rather than be forced to clamp my head in a pair of ‘phones. Not that I haven’t listened to a lot of headphones in my working life; it’s just that in general I have found all but a very few pairs – Sennheiser Orpheus, Sony MDR-R10, Stax SR-Λ Nova Signature, Jecklin Floats and the like – impossible to live with, and certainly not something I’d choose to use for any extended period. So it’s to the credit of the Oppo PM-1s that I’ve been doing a lot more headphone listening of late, and actually enjoying it. Just for once, headphone reviewing hasn’t been a chore, to be put off as long as possible and finally approached with a heavy heart; in fact, most of the time I’ve been writing this review, I’ve been listening to the Oppos as my main desktop audio system. 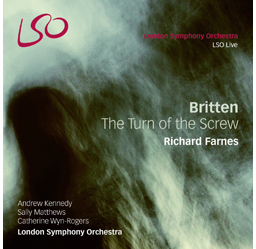 Right at this very moment, they’re playing the LSO Live recording of Britten’s The Turn of the Screw and sounding suitably disturbing and entirely thrilling. Oh, and for all those hi-res audio naysayers, the Oppos are highly revealing of the differences between CD quality and 24-bit/96kHz. I pulled down the CD-res version of the Britten from B&W’s Society of Sound website, as well as downsampling the 24/96 version to CD quality, and in both cases the hi-res version left the 16/44.1 for dead in terms of atmosphere, dynamics and sheer emotional impact. I’ve tried the Oppo headphones with a variety of devices, including the headphone output of my NaimUniti, the better headphone out of the Naim Supernait 2, the excellent Fiio X3 personal music player and headphone amps including a Fiio E12 Mont Blanc (left) and the Trends Audio PA-10.1D SE hybrid valve headphone amp/preamp (right), and in each case I have found these headphones responding well to the quality of equipment with which they’re partnered. 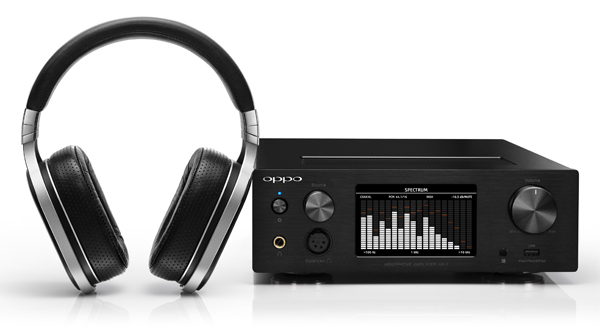 Clearly some more experimentation with headphone amps is going to be called for – as I mentioned, I’m looking forward to having a play with the Oppo HA-1 when it’s available. I’m already regretting that both the Meridian Prime and the Denon DA-300USB have been returned whence they came – it would have been interesting to see how they fared with these oh-so-explicit headphones. And I must do something about getting hold of a review sample of the Musical Fidelity V90-HPA, about which I’ve been hearing good things, but which has to date only been in my peripheral vision, simply because I haven’t been using headphones that much. Oh dear, this is beginning to sound like a nascent addiction, isn’t it? So anyway, the Oppo PM-1 headphones: they’re sensitive eneough to be driven by the output stage of a personal music player, but think of them as more transportable than portable. I wouldn’t wear them walking down the street because a) they let in too much external sound (though they don’t leak outwards excessively unless you play them at brain-mashing levels) and b) people do look proper Charlies strolling along in massive headphones, don’t they? 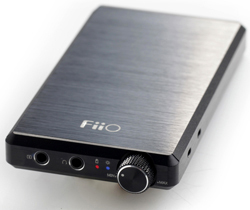 However, use them with a good digital music player – such as the Fiio – with the E12 headphone amp rubber-banded on, and these could be a superb way to while away a long journey on public transport (whatever that is) or a long-haul flight. But perhaps they’re best in situations where you really don’t have to use them, but choose to: listened to on the end of a high-quality system in the peace of your own home, their immediacy and openness makes a persuasive case for more headphone listening. Put simply, the way Oppo’s engineers have managed to drive out all the things I find unattractive about listening this way, while keeping so direct a communication with the music, is remarkable. I still own the Yamaha HP-1s and HP-2s since they were released decades ago. Had the hp-1s rewired to four pin XLR to use w my Schiit Audio fully balanced amp. Looking forward to trying the Oppo’s out, and their new amp. I demo’ed the Oppo cans and NAD VISO HP50’s and yes Oppo’s are superior, but price was out of my budget. I bought the NAD VISO HP50’s and pleased as punch given excellent price/performance ratio.